Every once in a while we all feel like taking a break. Some head to the pub, others to the zoo, while others opt to camp. If you really want to experience a vacation at its absolute best, then there is only one place that you can go to – the Playacar Palace Resort. 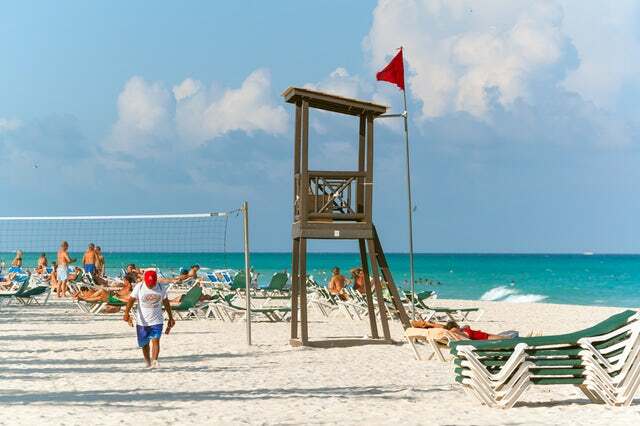 The resort is located at the enchanting Playa del Carmen. It is surrounded with authentic Mexican shops, nightclubs and bars, and several other entertainment hotspots. It is set next to the pristine white sand beach on the shores of Caribbean Sea. The resort is ideally a place where families get together and experience great times together. It is a picturesque wedding venue and a romantic destination for honeymooners. The resort boasts 208 accommodation units that are tastefully furnished and luxuriously decorated. The rooms are divided into rooms and suites, most of which feature balconies that give the guest the sweeping views of the ocean. Imagine enjoying both the views of the Caribbean Sea and the Cozumel Island from the comfort of your hotel room…romantic, isn’t? The rooms are well-appointed with amenities such as 24-hours in-room service, luxurious and stylish décor, full bathroom, in-room amenities such as minibar, air-conditioning, linen beddings and many more. Perhaps the selling point of this resort is that in each of the rooms, you will find a double Jacuzzi. For your dining needs, you will have several options including restaurants such as Café del Mar, Terrazza, Mo Mo Na Ha Na, Cielo Bar, Aqua Bar, and Luna Lounge. If you would rather spend indoors, there is a room service available. You will get an unlimited beers, wines and spirits. The resort takes the recreational activities to the next level. You will not only enjoy the state-of-the-art spa where exotic massage and body treatments are offered, but also get to play golf at the world class 18-hole course that was designed by Robert Van Hagge. The Playacar Spa and Golf Club is one of a king in the whole Playa del Carmen region. Additional recreational activities present at the resort include; swimming at the sparkling pool, sunbathing at the fine white sand beaches, throwing Frisbees, flying kites, beach volleyball, windsurfing, snorkeling, sailing and many more. At Playa Palace Resort, you will have nothing but the best services, food, and rooms. Money spent here is money well spent. Click here to see what other tourists are saying about the resort on Trip Advisor.